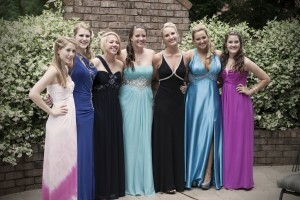 Over the past few years, prom limo has been increasing in popularity among youngsters in New York. A limousine ride is not only one of the spotlights of prom night, but also for various other occasions from bachelorette and bachelor parties, birthday celebrations, family reunions, corporate events or parties, wedding, anniversary and the list goes on. The comfortable, stress-free and luxurious rides, make limo the most preferred choice. So, to ensure the best experience with the prom limo in New York, we have the top dos and don’ts that you need to keep in mind. We Reliance group, a transportation company offers various car rental services for different occasions. Ask questions to the limo service provider - Before you hire a limo car for prom night, you need to ask a few questions to the luxury car service provider. Make sure you ask the company about the model and condition of their fleets, which is essential for a safe and secure ride. Hire a company that has modern and well-maintained limo cars. Do not book from a company whose fleet is more than decades old. Do not bring along extra people for the ride - Take it as a tip that every car comes with a specific limit of passengers it can accommodate. Usually, most of the prom limos can easily make space for 18 – 30 individuals and a full-size party limo has enough space for up to 55 people. Make sure you confirm with limo rental company about the maximum passenger capacity of the car before bringing more people for the ride. Avoid hiring a prom limo at the minute - Generally, you should hire the limo about a week before your prom night. However, most people book the party buses at the minute when all the vehicles of the luxury car service provider are hired. To avoid such inconvenience, consider booking the prom limo in New York a few days before the event. Be kind to the driver - The drivers of a luxury limo cars are well-trained to be courteous and respectful at all times. As a passenger, it’s your responsibility to maintain the decorum and avoid ill-treating the driver. Don’t forget about drinking policies for teenagers - Teenagers are not allowed to carry alcohol in the party buses, hope you’re well familiar with this policy. For instance, if you’re a minor bring the alcohol in the limo car, the driver will not allow your entry into the vehicle. Try to be on time for the scheduled pick-up and drop-off - Another important thing to consider while hiring a prom limo is that you should always be on time for the scheduled pick-up and drop-off, as the luxury car service companies charge on an hourly basis for the limo car. So, to avoid paying extra charges, make sure everyone board the prom limo as soon as possible. Hiring a prom limo in New York is not only for becoming a spotlight of the event, but it also offers comfort as well as safety. Have a prom night up? Visit our webpage to explore all the options available: https://www.reliancenygroup.com/. We are the leading limo service provider in the state of New York. Previous Post4 Things You Should Do While Booking Your Wedding TransportationNext PostUber vs limousine service: What’s the Verdict?